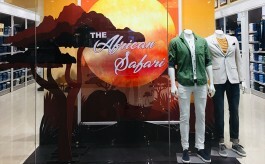 A new concept to promote fashion and furniture has been executed at the popular Creaticity mall in Pune. Based on the idea of ‘Maya Tatwa Sangam’ – a fusion (Sangam) of Maya (desire or illusion) and elements -- the concept highlights a multi-sensory approach to bringing together comfort, luxury & desire. The space has been designed to convey a sense of heightened luxury and helps in visualising the ultimate living space in one’s fantasy. Mannequins have been carefully chosen to closely represent human posture, attitude and behaviour and thus elevate the realistic feel of the living space. 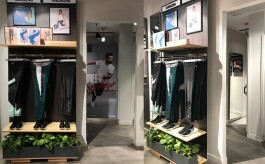 According to the company statement, the concept, which has been called as “pure form of diversified visual merchandising practice” has been attempted for the first time in the country and the responses have already been encouraging.